Providing you the best range of laboratory pulverizer and coal pulverizer with effective & timely delivery. 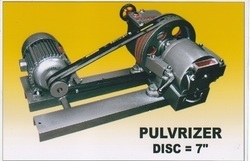 The Laboratory Pulverizer is a disc type grinder, Designed to grind virtually any material to produce a fine mesh sample in one operation. The instrument is useful for assaying, mining and for metallurgical, quarrying, aggregate processing, chemical, geological and industrial laboratories. It is a self contained grinder, with a rotary disc, having a planetary movement in a vertical plane. This feature gives added life to the moving parts and produces a sample of uniform fineness. 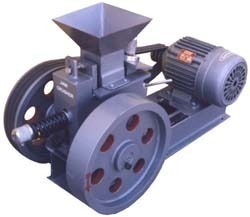 Looking for Industrial Pulverizer ?